Just the name sounds impressively expensive. And – without a doubt – content marketing can become very expensive. In fact, there are many ways you can get started with content marketing without breaking the bank or even spending a dime. Why pay extra for something you can easily get for free? 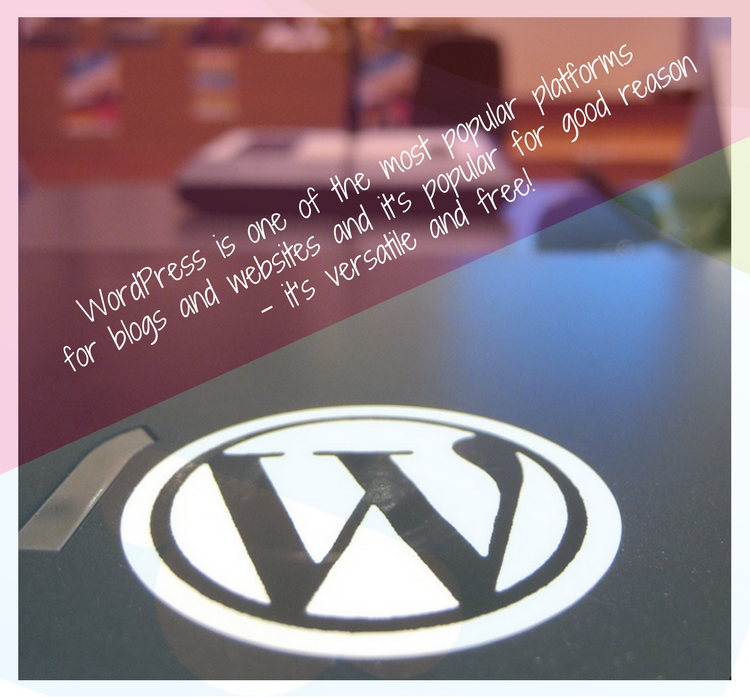 WordPress is one of the most popular platforms for blogs and websites and it’s popular for good reason – it’s versatile and free! Install WordPress on your new site and you can change out templates on a whim and, even better, customize those templates to be exactly what you need without doing much more than moving items and changing some colors. Sure, you can pay a lot more for a fully customized site, but in the vast majority of cases it’s not necessary, so why waste the money? As it turns out the hardest part of blogging isn’t setting up the blog, it’s having the stamina to go the distance. 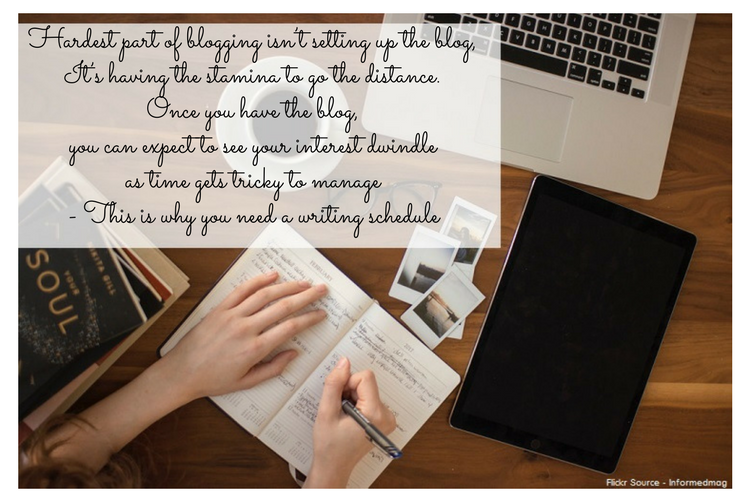 Once you have the blog, you can expect to see your interest dwindle as time gets tricky to manage. This is why you need a writing schedule. Write a new post every other day at 10 AM. Or start your Tuesday morning by writing a new weekly post. It might even be possible, if you have the right team, to divvy up writing schedule across employees – John posts on Mondays, Sally on Wednesdays and so on. If you want to improve your marketing game, you can’t have ugly materials out there with your name on them. This might mean going back through and republishing old things with a new eye for detail and experiences. It might also mean paying for cheap new articles and then improving them back in the office. Just know that bulk ordered articles for pennies on the dollar are often just as sloppy as you’d expect them to be. Before you actually start a serious content marketing campaign, you need to establish what you deem to be acceptable content. This means establishing a writer’s guide. How long should your posts be? How do you format images? Do you have a preferred method to handle links and citations? Not only will creating a writer’s guide make you think through the new content strategy you’re planning, it will also provide a document that can be used in-house for anyone creating posts for your company, and also be given to freelancers who may be creating outsourced content. Not one for writing long blog posts? You don’t have to. Just go out and see what’s happening in the world. You can even let Google do this for you with headlines delivered daily to find trends in big and narrow niches. Your job then would be to simply cull through the headlines, pick the ones that are most suitable for your audience, add a bit of commentary and post. 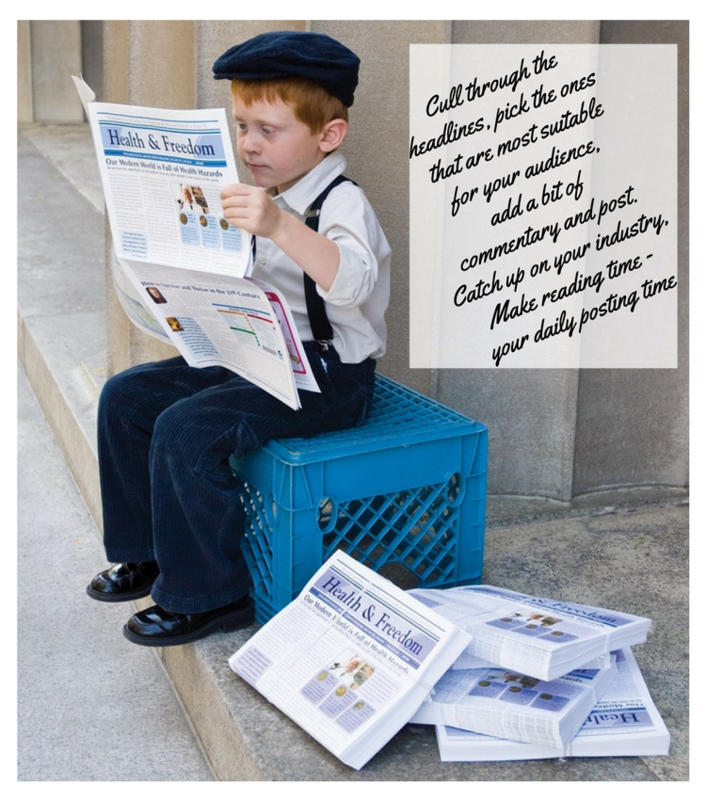 Not only will you be caught up on your industry, but your daily reading time can become your daily posting time simultaneously. If the thought of blogging about things makes your eye twitch, quit stressing. There’s no need to reinvent the blogosphere for your content marketing. Just stick to what you know best. If you make widgets, tell us about the widgets. If you are a player in the industry of widgets, tell us how they fit into the grander scheme and things we might not have thought about. If you are truly an expert in what you do, you should have plenty to say on the subject. When you take content marketing out of just your blog and into larger networks and social media platforms, there is not a reason you can’t double or even triple dip. That blog post you wrote can become a great article. And that article can provide some quick statistics for a series of tweets. And that image with the article? Might look great on Instagram or Pinterest. One good blog post can certainly go a long way. Creating a social media account doesn’t take much initially. Again, like a blog, it’s maintaining the accounts where we tend to fall flat. 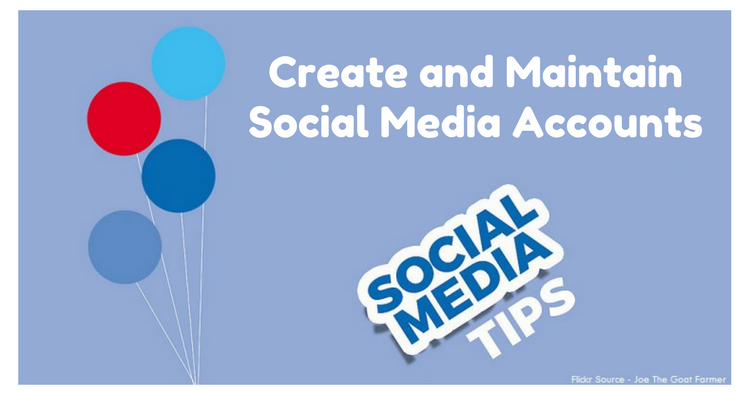 You don’t necessarily need 10 different social media accounts, but it’s free to set them up, so why not? Set up accounts on at least the major platforms and set yourself a schedule for posting. One quick post every other day – perhaps a repost of that blog post or a link to industry news – takes less than thirty minutes and will allow you to build your social media presence with minimal effort over the years. Age your accounts, if you will. Blogs aren’t the only place you can post your articles. You can post full articles through Facebook easily enough. But the best strategy is probably one of leaving a bit of a teaser and bringing customers back to your site for more details. This works with a tweet, an image, a pin, a post and even a snap. A bonus feature is being able to tailor your online audience through the various social media accounts and sales departments. If the thought of creating mounds of content is intimidating, it doesn’t need to be. You probably already have way more content created than you’ve thought about. Have you made any long or explanatory forum posts? How about emails? How much time have you spent interacting in the comments sections on previous posts? Can you use those conversations as new posts? Of course, you can! We are especially susceptible to images and videos, so if you have the means and you’re not camera shy, just give us what we want! Make videos explaining new features and topics. Show us some pictures in your announcements and instructions. Not only will those images catch our eye, but they will also give you something to link to and from in your various social media platforms. So long as you’re creating pictures, why not make something that contains both images and information? Infographics are big right now because they are so eye-catching and instructional. Make a series of infographics and brand them well and then share them everywhere you can – perhaps as the image for a more in-depth article on the topic at hand. Finally, don’t be afraid to dig back through your old presentations. Slideshare.net is a collection of PowerPoints that are designed to be informative and useful for others. They are content others find useful that can be branded for you – content marketing at its finest! Just remember to clean up your presentations first and remove any proprietary materials before posting. Content can definitely be expensive, and hiring a content firm can be an expensive option for a company on a shoestring budget. But fortunately, the companies with deep pockets do not hold all of the influence in the content world. Posts, videos, presentations and more can be created, shared and used as a foundation for your business by investing nothing more than time and creativity. Oleg, I like your ideas here. I just spent the weekend archiving old content. I did a new slideshare last week, something I had not done in over a year. It can be daunting to do it all without any partners. I’ve been thinking of looking for someone to partner with. One of the best posts I’ve read till now about e-commerce website. I’ve seen so many successful businesses who started with the good amount of investment with a unsucessful end. Great post and good tips everybody can find something to improve content marketing. Helpful for many to get ideas and implement them. Thanks For This awesome Info. We have recently started a web Hosting review website and while we are searching for some tips to improve our content marketing, i found your blog. Thanks for your help. Hello Oleg! You did an amazing job with this post my friend! Content marketing can be a little challenging when starting out, but just like anything thing else, the more you do it the better you will become! Great list of tips here and some I can certainly visit and improve my blog with. I particularly like the ‘clean up low quality posts’ one as I know I have some low quality posts in the early days of the blog. I need to revisit them and sort them out. Thanks for the prompt! I like the idea of cleaning up thin or poor articles Oleg. I did so a while back. Went bonkers on sharing shorter articles. Inspiring to some folks but it was filler, plain and simple. This is a free and easy way to boost brand awareness, to help your readers and to beef up your marketing campaign on the super cheap. Win-win for everyone. Loving these tips. Yeah, short posts can be helpful to some but ultimately it cheapens the overall quality of our blogs – but those posts too have some authority and adding more content and making them stronger and even republishing them helps! Hi Oleg, Great tips. I’ve been going through some old posts too. Amazing how much better we get with practice. My old stuff definitely needs revising. There are so many good ideas that can be done with older content and you’ve shared a great list. Have a great day. 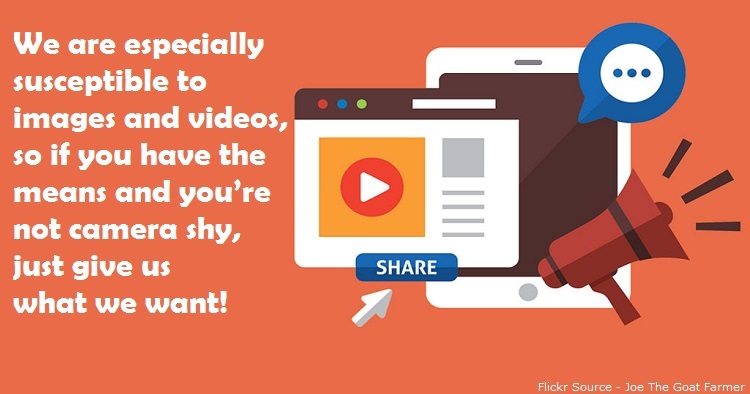 Yeah, old content can be a real asset – with a bit of fine tuning, it can be re-published again, can be posted on sites like SlideShare or shared on the social media again! Thanks for some really helpful ideas for content marketing. You’re right – it does take stamina to stay the course. Although initially I found it a challenge to learn WordPress, the actual article posting soon become second nature and very easy. The challenge is in showing up regularly to make new posts. I too was horrified when I looked back on my earlier posts, and I revise them every so often. I also add update notes when I come across posts that now are not current. Yeah, learning a new system is always difficult – but once you start using it actively, it becomes easy! Very true, writing the actual post is the difficult part. Yes, content marketing is so far the most useful strategy I have used online – works great for any brand! Hey Oleg, You are right. It works for me. As you said Social media is one of the good source for gaining traffic. Regular connection with social media on different pages and groups brings you enormous traffic. Really worth sharing buddy. I totally agree with you here. These marketing tips helped me when I first started blogging and had no budget whatsoever. I cleaned up older posts and created infographics to compile older posts as well. Thanks for sharing! No doubt I’m passing this along. I think this sums up your post really well “the companies with deep pockets do not hold all of the influence in the content world”. Most bloggers with deep pockets didn’t start out with them either. They started developing influence without. Apart from WordPress itself, there are so many free resources to use. Yeah, which is excellent – because it keeps the playing field same for all of us! Great information, find it really helpful. I must say this is one of the best posts about ecommerce I’ve read this year. Success in business is not a product of how much bucks invested; it is a function of of a good understanding of what you are going into. Thanks for sharingthis post with us. Yeah, agreed! It is not about the budget but the results that you desire! great post….loved all the marketing strategies….i agree that we should stick to your subject and keep posting quality content regularly and gain traffic through social media promotion…thanks for sharing all these tips!!! I think social media account activity is one of the most important these days, helps people stay connected with the community and helps to get feedback and get follower. Like twitter can help get traffic and always stay interactive with your followers and when you post something new, share it on twitter can get back those follower to your blogpost. These are some great tips for bloggers, while I don’t have a bunch of old articles because my blog is still fairly new. I will definitely make sure that I keep these tips in mind while writing my articles. As for using Facebook to post your full article, I had no clue that you could do that. I usually post a small snippet to try to get people back to my blog. However, I still have a lot to learn on how to use Facebook. It’s definitely a learning curve, and these tips will definitely help me get better with my marketing strategies. Time flies real fast, so just keep adding more content everyday and your now-fresh blog will become an information warehouse in the coming months! What wonderful ideas you have given here about content marketing strategies. I have been entertaining the thought of digging into my old blog posts and re-vamping them. Maybe putting in a video too. Thanks for the little push you have given me here! One of the best posts I’ve perused till now about web based business site. I’ve seen such a variety of fruitful organizations who begun with the great measure of venture with an unsucessful end. A debt of gratitude is in order for this awesome post. This is one of the best posts I have ever read. These are some of the best content marketing strategies I have ever read on the web. I’m with you regarding cleaning up and revamping older content. I’ve done this – having added new content to the existing post, expanding on it and even being able to see how I’ve grown as a writer from revisiting older work. I’ll admit I don’t publish nearly as often as I did last year, but with each post, I give it my all. Hello Oleg, making video presentation is something that reigns this day, what software do you to create awesome video presentation for a post?? Thanks for sharing this valuable information. 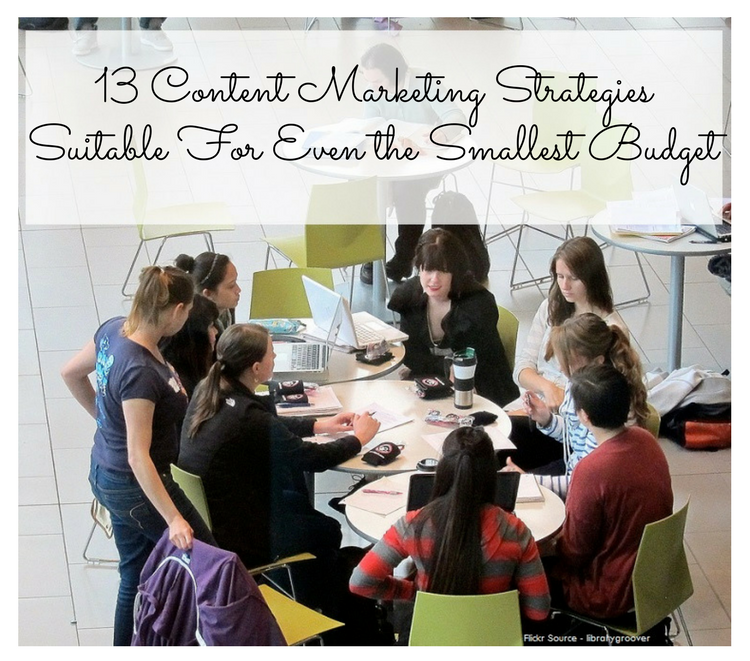 Personally have struggled alot with content marketing due to low budget. This post came in very handy. Hi, these are absolutely great ideas, but though I can’t relate it to my own blog now because its still very tender. I will apply all these tips soon. Wow just now came across this new hosting company. I am thinking to shift here 🙂 Hope everything goes fine. BTW nice hosting company. After following your tips I have understood that content marketing is a real success to position brand in this competitive market. Now I am contacting a few of digital marketers and some of the fiverr gigs to get help to scale up my business. Thanks a lot for in-depth well researched information. Content marketing is really needed for even small business. For those who don’t have big budget, this article is very helpful for them. I think having a project manager to control your social media presence is the best form of content marketing strategy. Oleg, I like your ideas here. I just spent the weekend archiving old content. I did a new slideshare last week, something I had not done in over a year. I must say this is one of the best posts about e-commerce I’ve read this year. Success in business is not a product of how much bucks invested; it is a function of a good understanding of what you are going into.